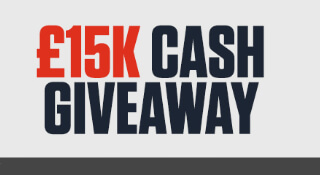 £15K Giveaway at Ladbrokes Casino! Ladbrokes Casino is kicking October off with a sparkling £15 000 giveaway! For the chance to get your hands on one share of the big cash prize – spin the reels on Lightning Gems! Every £10 that you wager on the slot Lightning Gems will give you one entry to the £15,000 prize draw! There is no limit to how many entries you can earn, so keep the reels spinning! The more entries you have at the big draw – the bigger are your chances of winning. 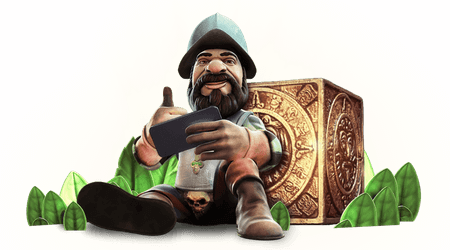 Join the adventure; play games, earn coins, and claim prizes – do it all at Ladbrokes casino! At Ladbrokes casino, every single day is a new adventure. 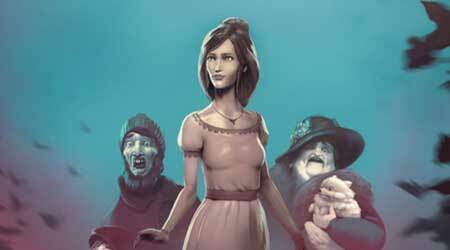 While playing, you can earn coins, unlock achievements, and win cash prizes. As a member, you won’t need to opt in – you’re already in! All you need to do is to choose your avatar, and start the adventure. While playing at Ladbrokes casino, you can complete different challenges in order to collect points. These challenges includes playing at different games – such as live casino games and slots. When you unlock the different achivements, you will be rewarded with coins. 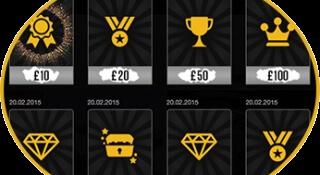 These can be used in the shop, where you can trade your hard-earned coins for cash reward scratchcards! This all sounds good, of course, but we still haven’t told you the best thing. When you’re all done with unlocking achivements and trading your coins – you get to do it all over again! There is a wide range of both weekly and daily achivements that are constantly available. Look! Up in the sky! It’s A Bird… It’s A Plane… It’s Superman! Do you remember that famous phrase? Are you up for some fun? Some, “super fun”? Ladbrokes casino presents what could be the best of two worlds – games and superheroes. Can you imagine something more fun than to reunite with your favourite superhero in a well made slot? To celebrate the launch of the new Superman slots series, Ladbrokes casino starts of with a big and loudly bang. They present an amazing cash slot giveaway. At stake is no less than £500k distributed in four different pots, with top prizes of £5k for each draw. They will be giving away a share each Monday in March. So what are you waiting for, be a hero and aim for the stars. Hit the slots and make sure that you are in the competition, you do not want to miss this opportunity. Do not let anything, not even kryptonite, stand in your way. 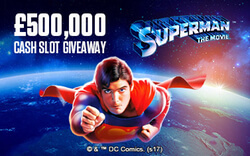 The slots series includes: Superman I (The Movie), Superman II, Man of Steel and Green Lantern. Who is your favourite hero? Play along one or all of them for a chance to win. Make March a month to remember. Make it super! Get in to Ladbrokes and read more about this fantastic launch. The best promotions to celebrate the new year! It is time! Time to get to know where all the best promotions are to celebrate the new year coming. Mr Green is first to let us all know that they will continue their daily calendar all the way to the 5th of January. Christmas is over, but not all the fun! There will be a new adventure for yuo to complete each day. The Christmas store at Ladbrokes is still open all the way to the 7th of January. Everytime you play a casino game you earn points which you can use to buy freespins and other stuff in the store. Vera&John is having a £12500 tournament. The aim is to reach Nirvana. 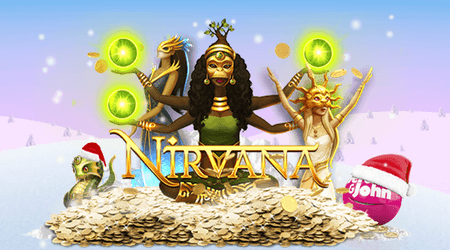 While your’e playing Nirvana, aim for the highest free spins coin win. The player with the highest coin will win £2500! Last but not least, LeoVegas! To celebrate the new year and to thank all the lions who have played during 2016 LeoVegas is having a random prize draw. All players who have deposited money and played during the year will be collected into a massive prize draw. 50 players will get to share the amazing £44000! 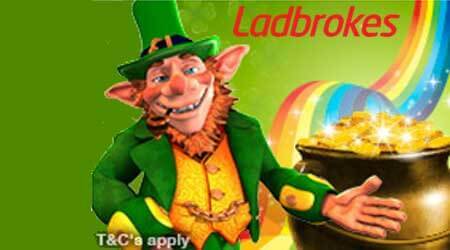 Great £250 000 prize draw at Ladbrokes! 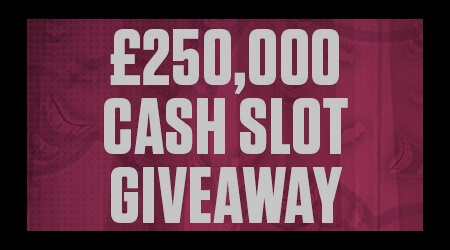 At Ladbrokes there’s a £250 000 cash giveaway going on right now. Each week until the January 1st you have the opportunity to collect tickets to a prize draw by playing at selected slots. You earn one ticket per £10 you wager at the slots that are included in the campaign, or earn two tickets per £10 you spend at the selected double ticket games for the week. Draw 1 £75 000 – Collect tickets between 12th – 18th December. The prizes will be raffled the 19th December and the first prize is worth £5000. Draw 2 £75 000 – Earn tickets during the period 19th – 25th December. The raffle will be held the 28th December. Also in this draw the first prize is £5000. Draw 3 £100 000 – Get your tickets between the December 26th and January the first. The winners will be drawn the 3rd of January and this time two winners will get £5000 each. Check out more about the campaign at Ladbrokes and learn more about which slots you should play at to join the prize draw. Ladbrokes is giving out weekend free spins! To celebrate the weekend Ladbrokes has teamed up with Gonzo to find the city of gold. Your mission, if you will accept it, can give you up to 30 free spins to use on Gonzo’s Quest! Play your favorite slots at the site like you are used to and you can earn those free spins. Since all slots on the entire site is available for this campaign you can play whatever you’d like. The free spins you can then use on the slot Gonzo’s Quest. To start, make a fresh deposit of £10 or more. Then you will have to stake a special number of money to qualify. The campaign is available between 11th of November to the 14th of November. You can play on any device of your choice and it will be counted mobile, computer or tablet! 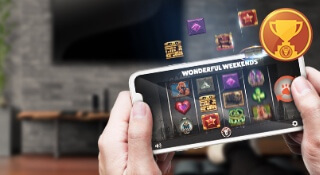 Visit Ladbrokes and start you weekend with earning some free spins! How to participate in this offer: Play any of the slots at Ladbrokes. hit the “claim now” button on the promotion page to enter and you will receive on free ticket into the prize draw. Every £10 you stake on any slots game will earn you another ticket. This offer has been going on for a bit longer then the free spins offer. Between Monday 24th October to Monday 31st October. You earn tickets by playing from mobile, tablets and PC. Ladbrokes is inviting you to a race off. Are you in the mood to win some extra cahs this week? Then this competition is something for you! 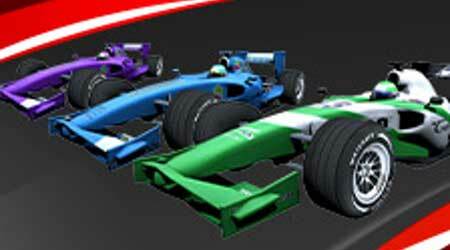 First of all, there is £5.000 that is going to be given away to best racers in this Grand Prix. All you have to do is to race to the top while your playing your favourite slot machines. Isn’t that great? You can play your games like you are used to and at the same time be a participant in this race. There will be guaranteed prizes for the top 500 hundred drivers, so start spinning those wheels. Everyday you can see your spot on the leaderboard. Make sure that you will be one of the 500 who takes home a share of the £5.000! What are the prizes in this campaign? The first prize is £300 and the highest win. Each player from second place up to sixth place will receive £100 while the players from seventh up to sixteenth place will get £50. Except for those top prizes there are also chances to win £20, £10 and £5 depending on what place you end up on. You start off by hitting the “claim now” button to enter the contest. Every £1 you stake on any of the slots on the netire site will earn you 1 point to the leaderboard. The grand prix is held between Monday the 17th of October to Sunday the 23rd of October 2016. Ladbrokes is inviting you to a week where you can win cash prizes or a brand new PS4 Bundle. First of a all there is £5.000 to share except for the first prize of a PS4 Bundle. The first thing you need to do is to simply go to the promotions part of the game section and claim the offer. When you claim the offer you earn one free ticket into the prize draw. When you have claimed the offer and got your free ticket you might want to earn some more tickets to have a better chance to win. You can then play every single one of your favorite slots on Ladbrokes site to participate. Becasue every £10 that you stake on any slot on the entire site will give you another ticket. This means that you can keep on playing your favorite games as usual and win at the same time, how great isn’t that? This competition is available from Monday 10th October to Sunday 16th October 2016. So you have a whole week to play and earn tickets to the prize draw. And you can play from your phone, tablet or PC and it will all count in the competition, as long as you are playing on slots. Altoghether there is 502 prizes to win in this competition and most of it are cash prizes. Therefore you have a lot of chances to win and as we have mentioned you compete while your playing your favorite games. Visit Ladbrokes today and start your quest on collecting the most tickets to the prize draw. If you usually play slots, simply join the competition and win some extra cash at the same time!